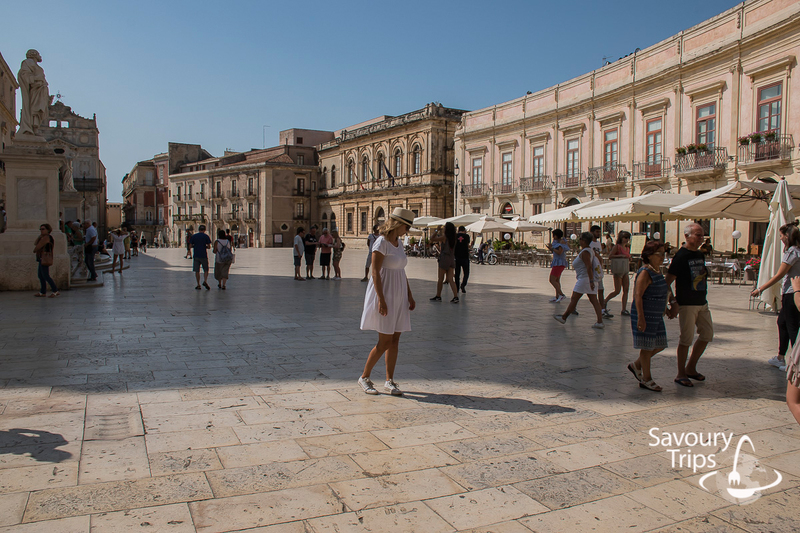 I had not considered Sicily as a destination for a holiday for a long time, so I was a bit scared when I decided to go there in September. 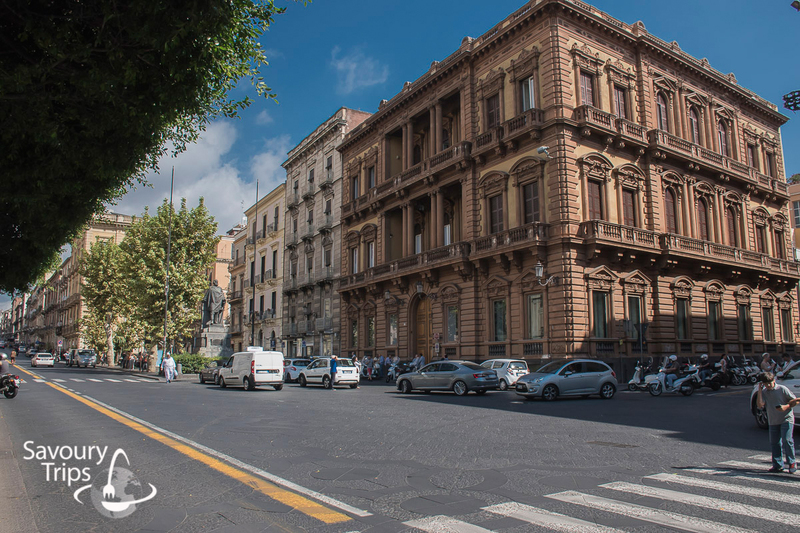 I think that in the end I did not make a mistake, and in this post I will talk to you about my experiences on a holiday in Sicily. The temperature was perfect, you could walk, and also go for a swim. It was raining only once in those ten days for an hour and after that everything dried up. 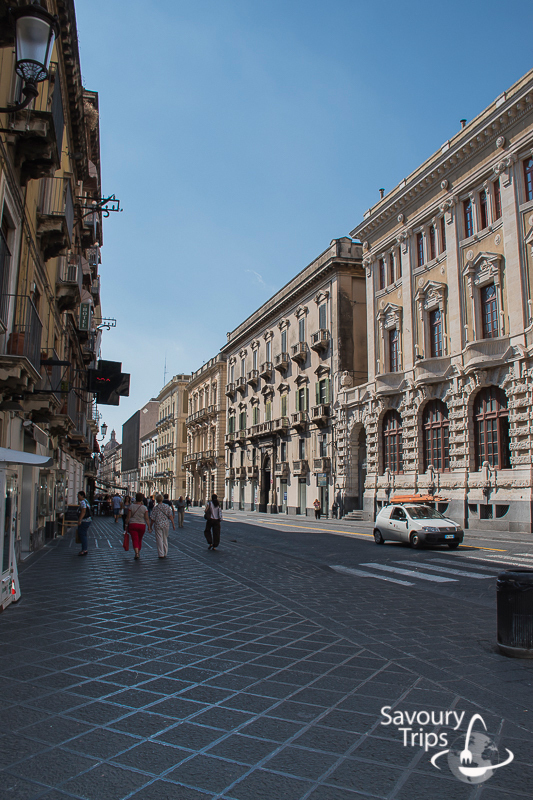 Since I didn’t expect anything from Sicily, I wanted to walk around more than to go to the beach. I was wondering if there was a point in going back there at all. 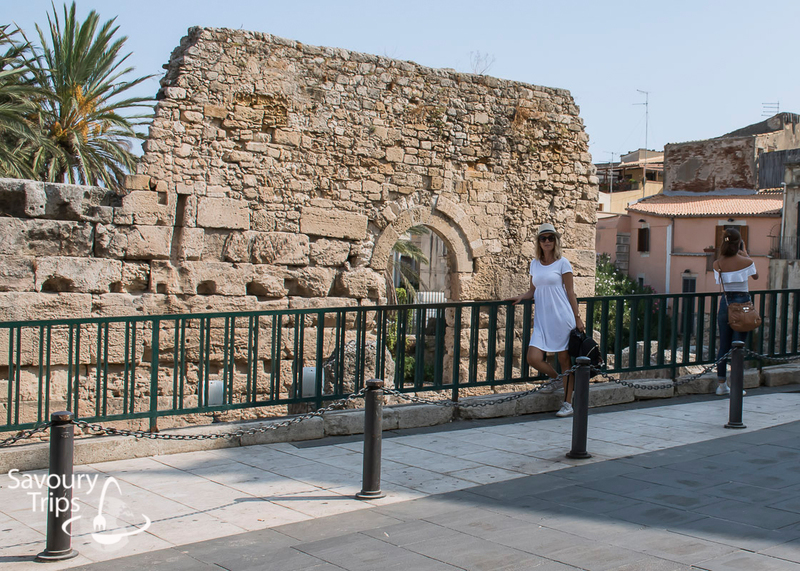 My trip to Sicily holiday experience is that this is a destination for an entire family no matter how old some family members are. My experience is that if going to the beach and swimming is not your priority, then it doesn’t matter where your accommodation is. 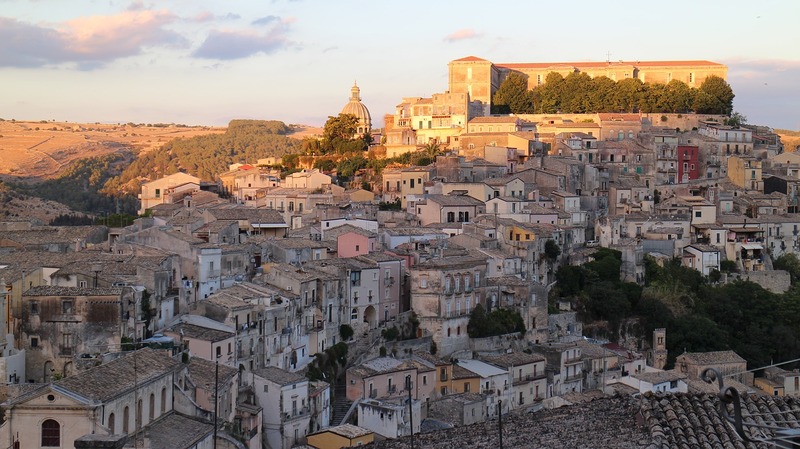 With the experience that I have, I would divide Sicily into 4 accommodation and moving around the island options: Palermo, Taormina, Syracuse, and Agrigento. Whichever option you choose, you will be able to go swimming and moving around the island easily. 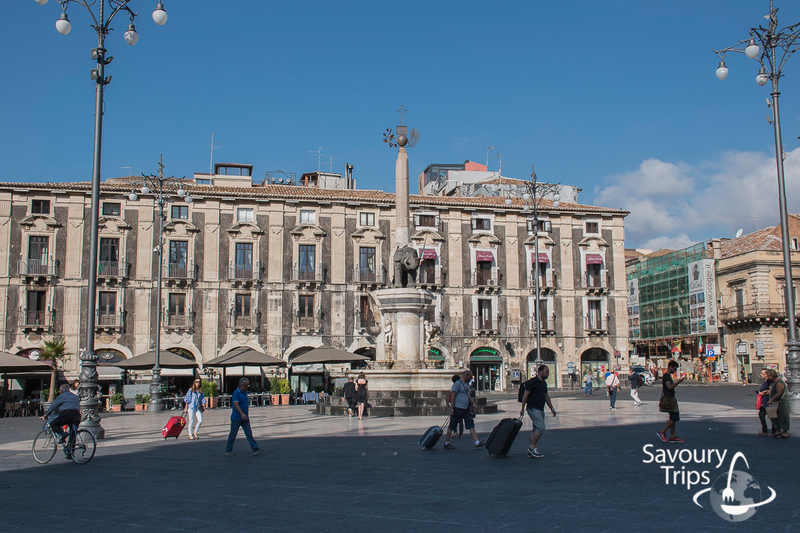 If you are travelling by plane, like me…the landing and taking off can be done in Catania and Palermo. 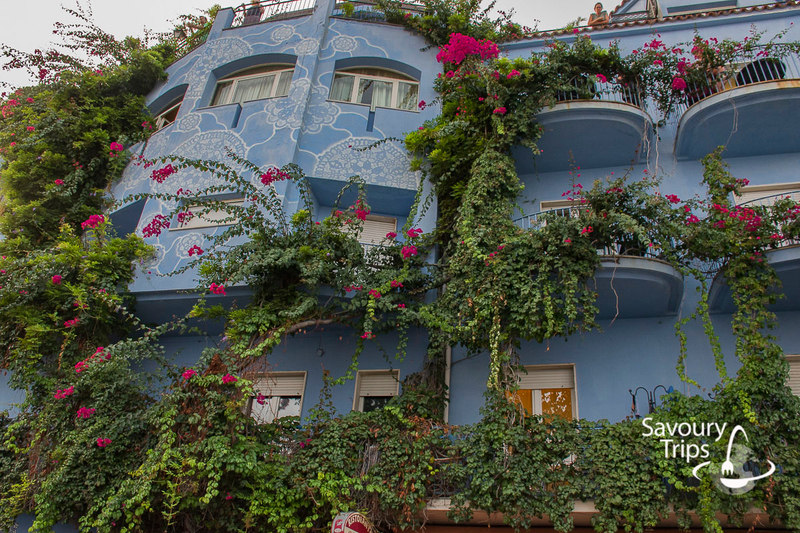 You can choose the accommodation through your local agencies, Booking or Airbnb. 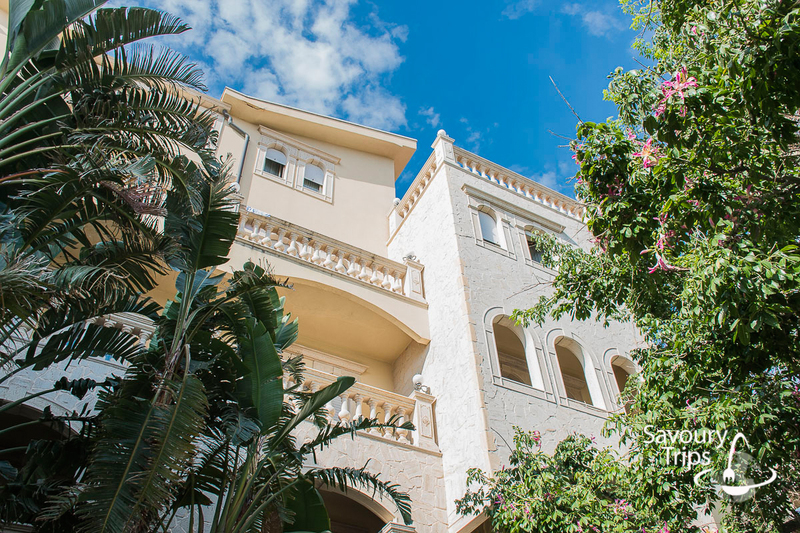 As for the prices of the accommodation, there is something for every budget. So that is not something you should worry about. 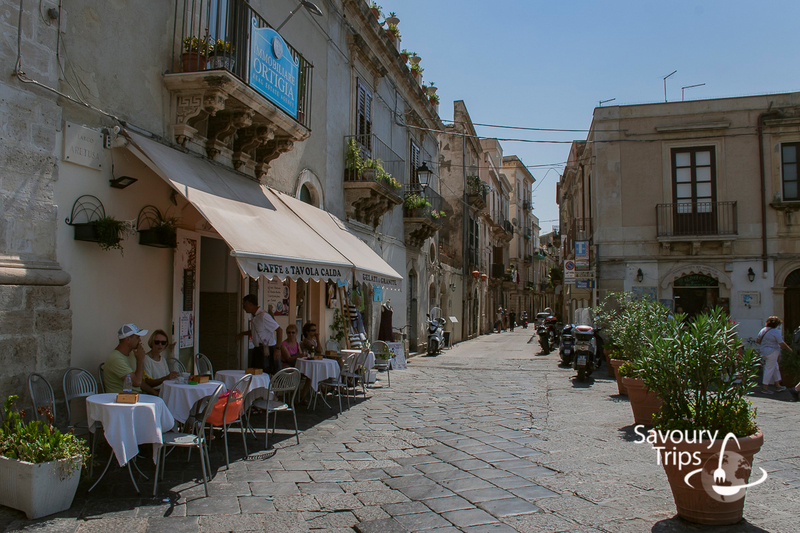 My Sicily holiday experience is that a very important thing is the cost of travelling around the island. 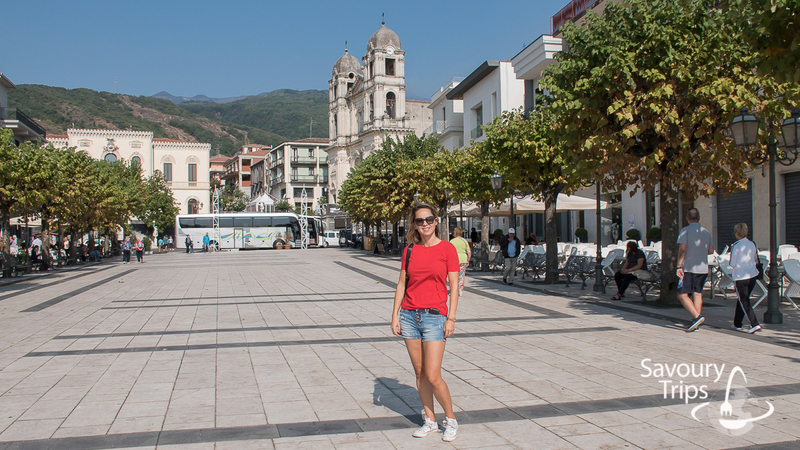 I used the agency sightseeing trips because I was alone with my mother, but you can rent a car in every bigger town and walk around more freely. 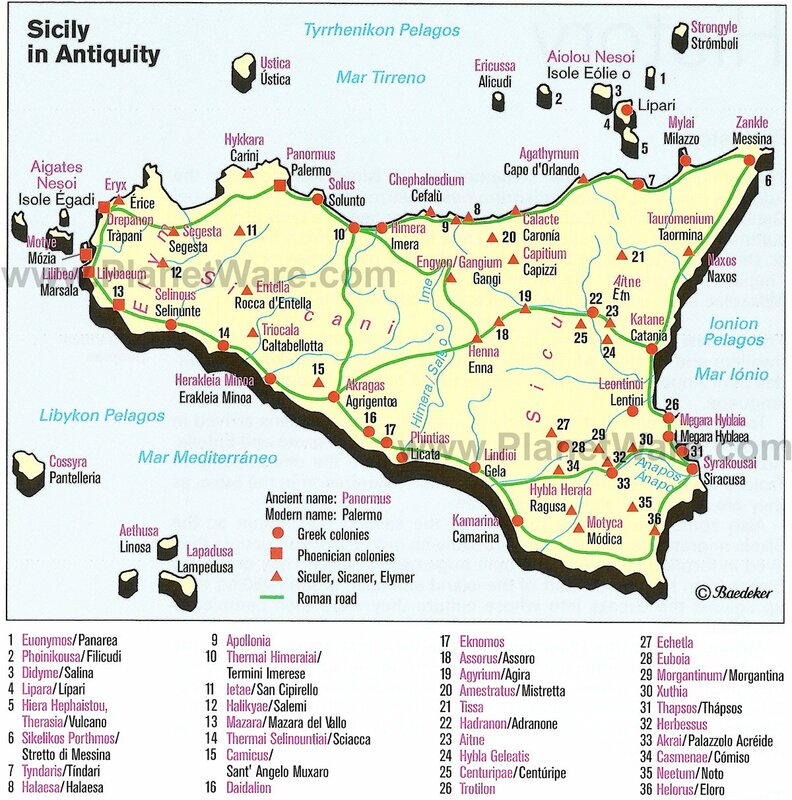 Palermo it will be easy to visit Cefalu, Erice, Monreale, Segesta Temple, Turkish steps, Selinunte. 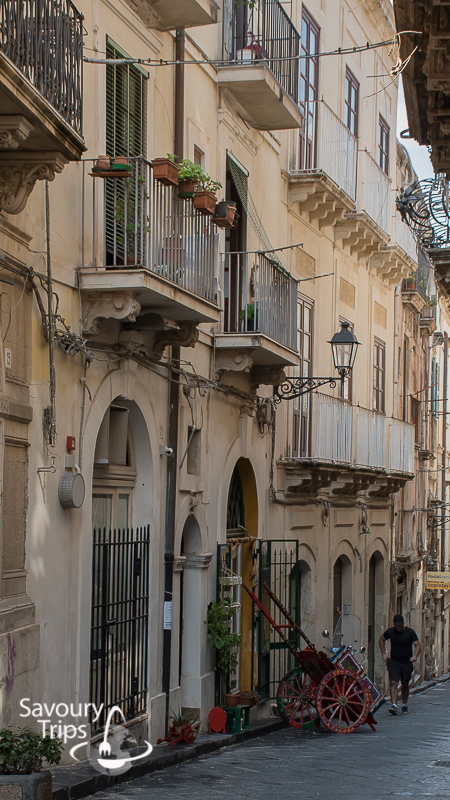 Agrigento is close to Piazza Armerina and you can hop to Syracuse. 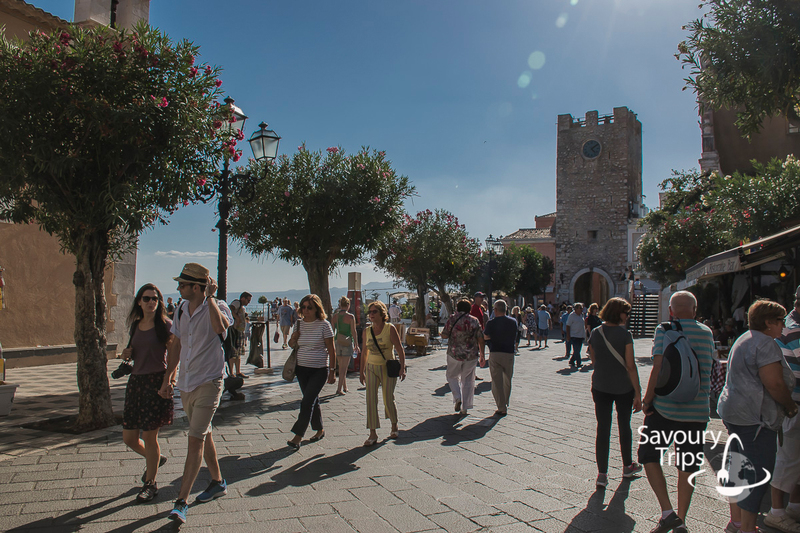 My accommodation was in Giardini Naxos and from there I visited a lot of places and was able to go for a swim once or twice a day in 10 days. 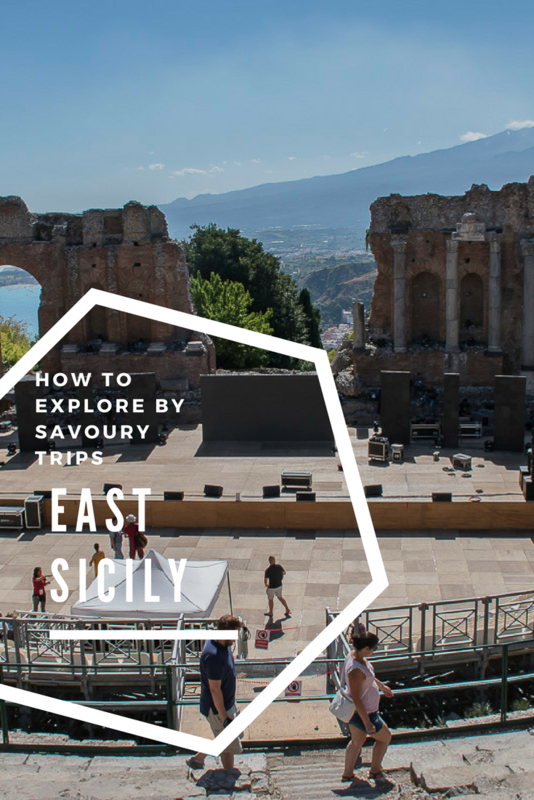 What I would have liked is that someone had given me the advice of spending 5 days in the southeast of Sicily and 5 days in the north…and if you can afford 7 days in the southeast and 7 in the north that’s even better. It’s not as exhausting and you can go for a swim more times. I will leave the beaches and swimming for some other post, and in this one, I will talk about all there is to see. 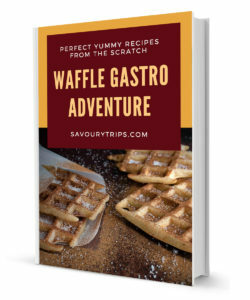 I was more than stunned by all the possibilities. 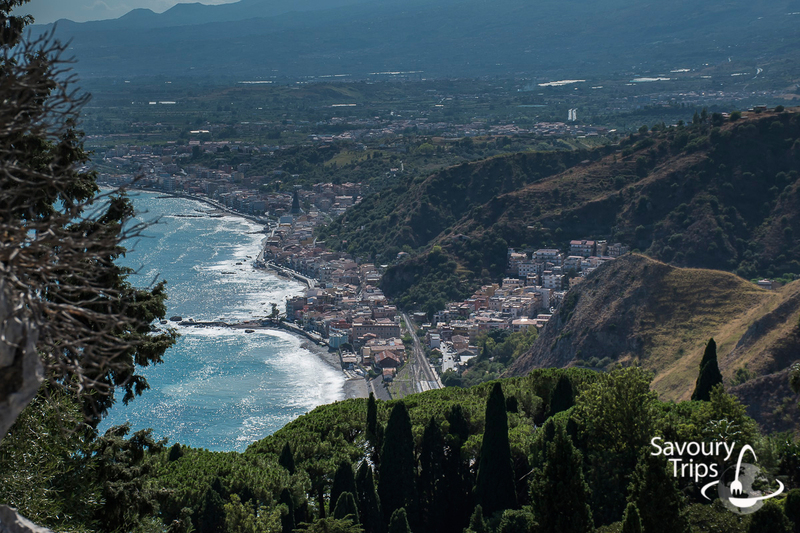 As I was located right under Taormina in Giardini Naxos first I got to see the southeast of the island. My plan was to go to a different location every day and to have one entire relaxing day on the beach in the middle of the holiday. 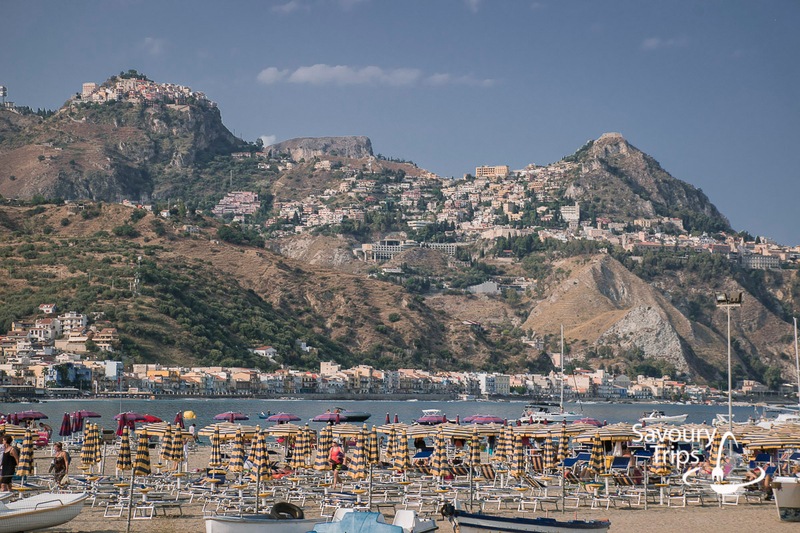 This is a typical summer resort with a long promenade that has hotels, restaurants and private accommodation on one side, and gravel and sand beaches full of sunbeds and parasols on the other. There were few beaches where you didn’t have to rent a sunbed or a parasol. I have to admit I was not impressed by this, but okay…But I had different reasons for coming. I am the type of person who likes small intimate coves without sunbeds and parasols to rent. So if you are the same as me, it will not find a place in your heart. 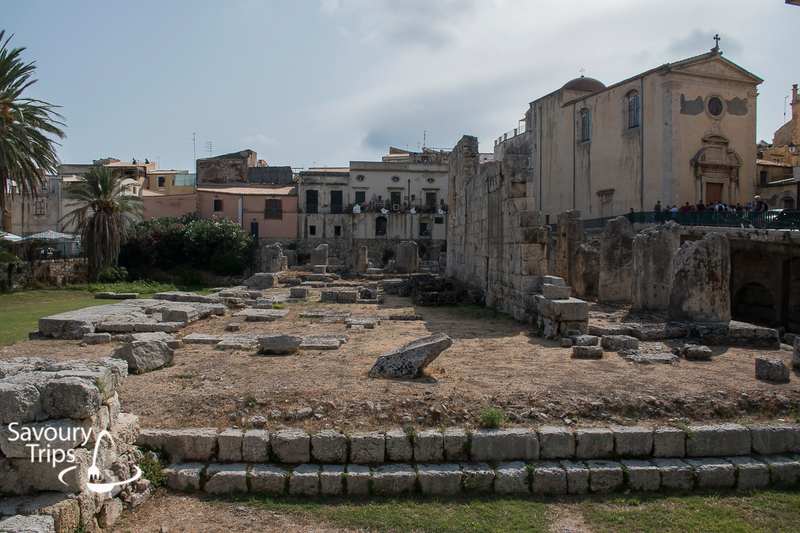 Beside beaches, restaurants, and hotels there isn’t much to see, even though it was the first place where Greeks disembarked when they colonized Sicily. 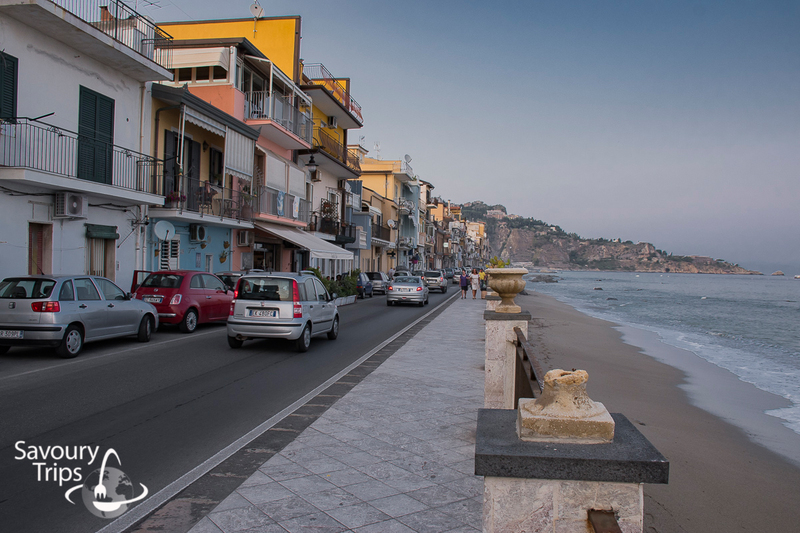 It is right around the corner of Giardini Naxos and is not much different from it. Except for the crowds at the beaches, they are smaller. 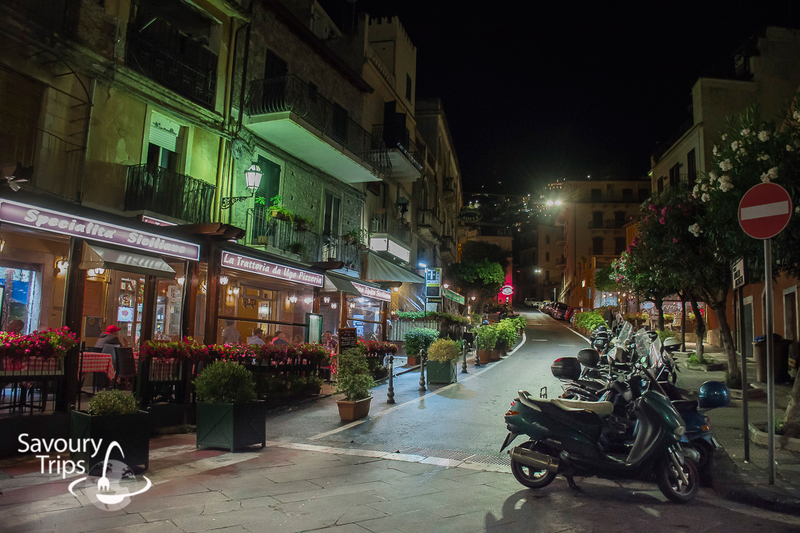 I visited Giardini Naxos and Letojanni by taking a light evening stroll without organizing specifically for it. In other words, when I had some free time and energy. 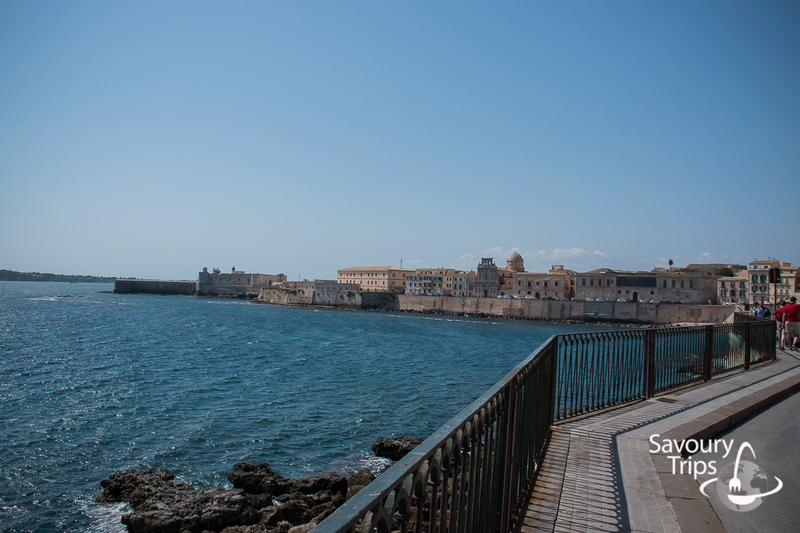 There is also a public transport between those two places, and the return ticket is about 1 euro. Be sure to take a walk, it is better than sitting around in the room. 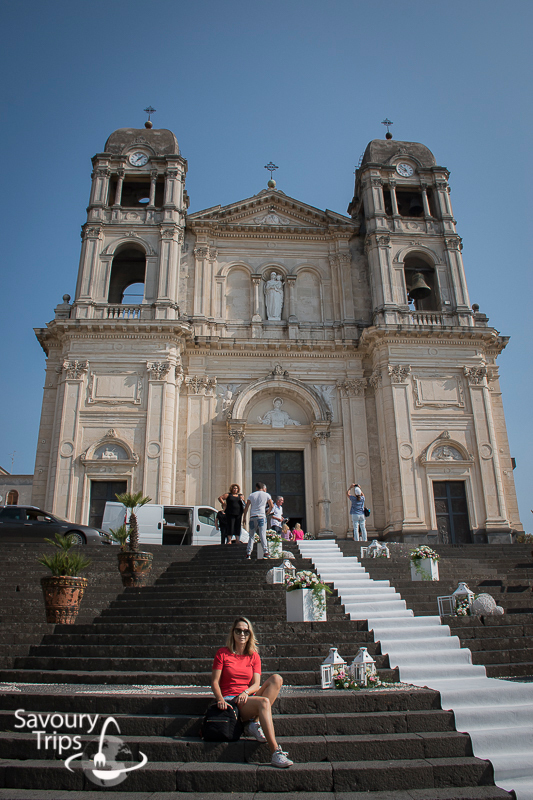 This is a fancy little town in the hill between Giardini Naxos and Letojanni. 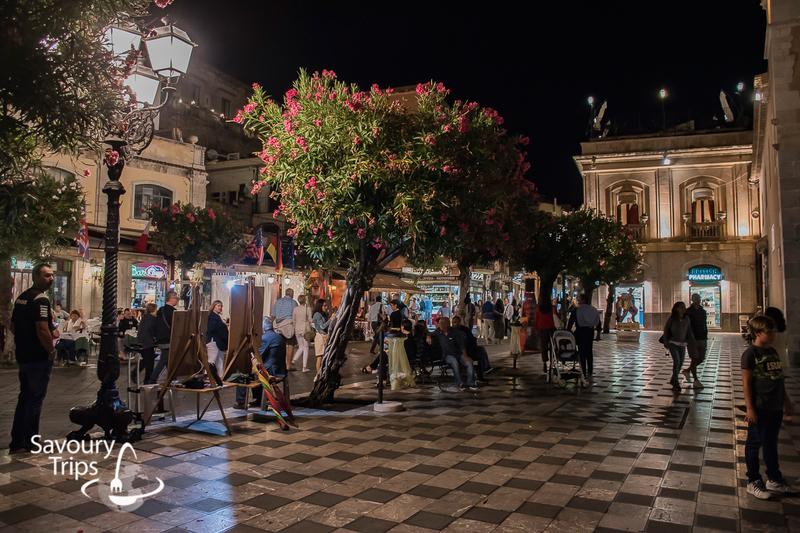 It doesn’t have its beaches, but it has a beautiful promenade, lots of restaurants, cafés and a shopping area. 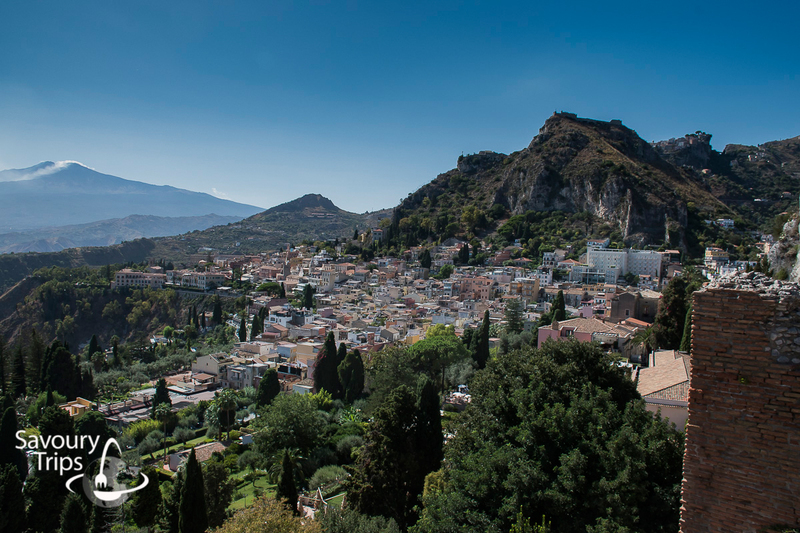 Taormina is one of the most popular summer resorts of the 21st century. 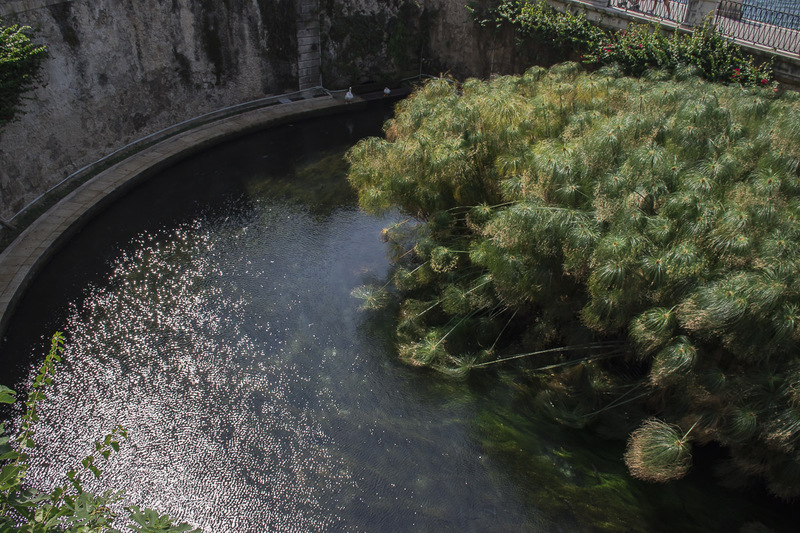 A lot of famous people visited it such as Elizabeth Taylor, Oscar Wilde, Johann Wolfgang fon Goethe…and me 🙂 You need 3 hours of a slow stroll for it. 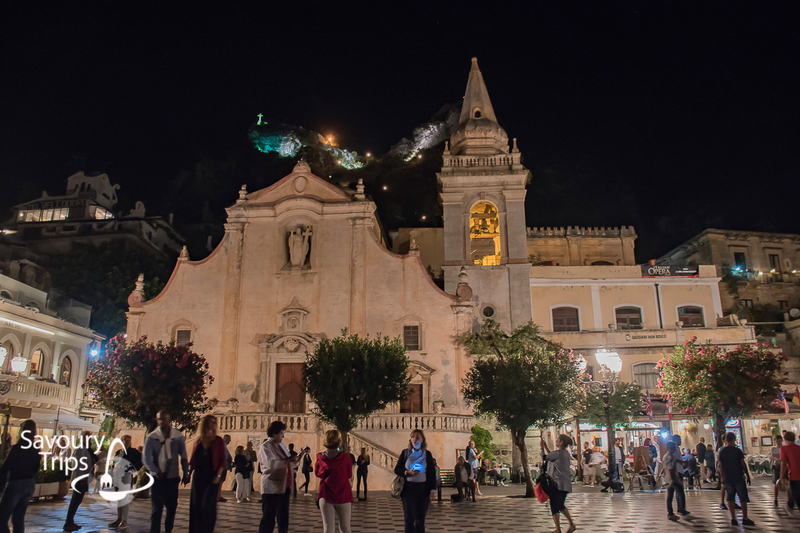 I didn’t spend an entire day in Taormina, I usually visited it in the afternoon, but more often in the evening. 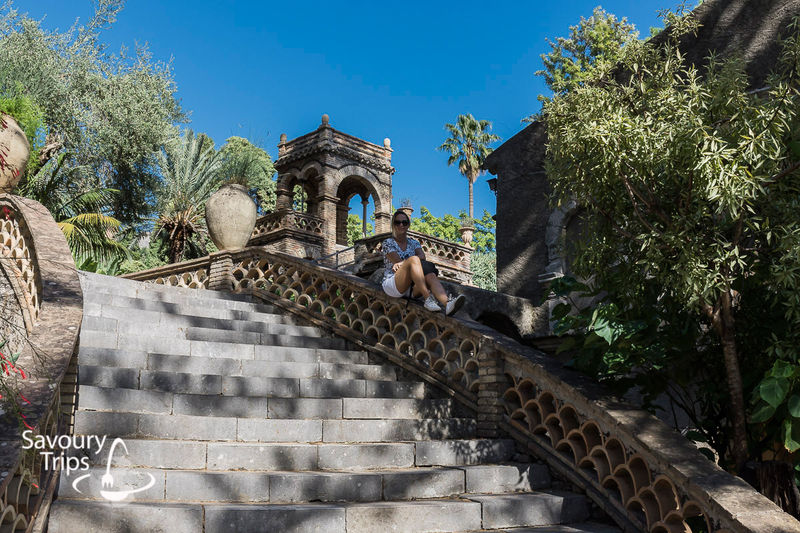 When I was too tired from the heat, I took a rest in the botanic garden which is also located in Taormina. It consists of two levels, and it felt great walking through them. 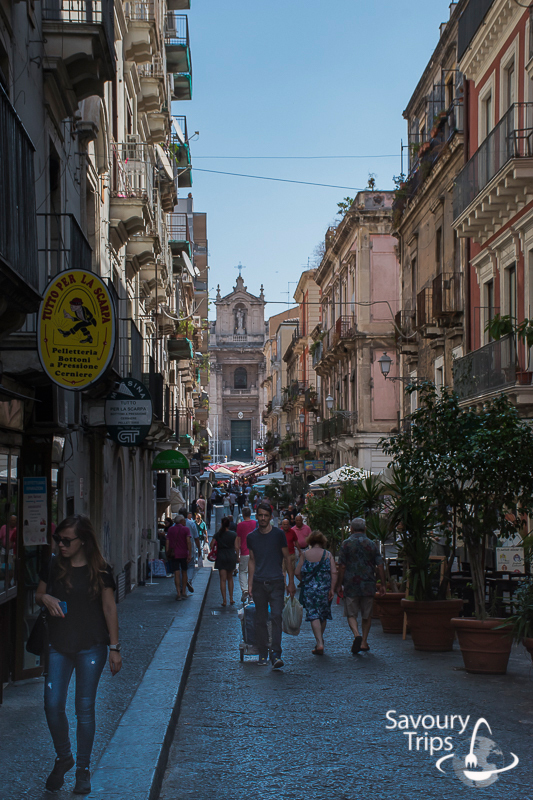 The Corso Umberto street is also partially a shopping area. 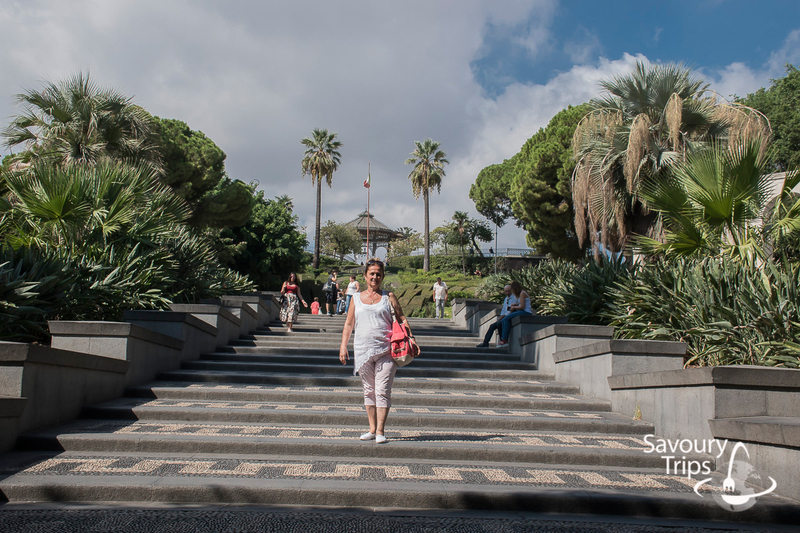 It leads to Amphitheater and the Botanic garden (the first street on the left at the entrance). It is very noisy, but it is beautiful in the evening as well. 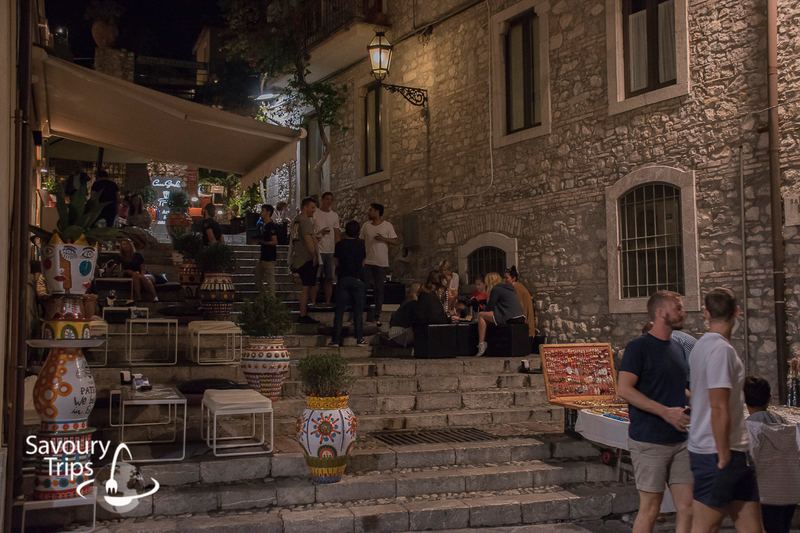 There are many restaurants and cafés and it’s one of the locations you must visit. 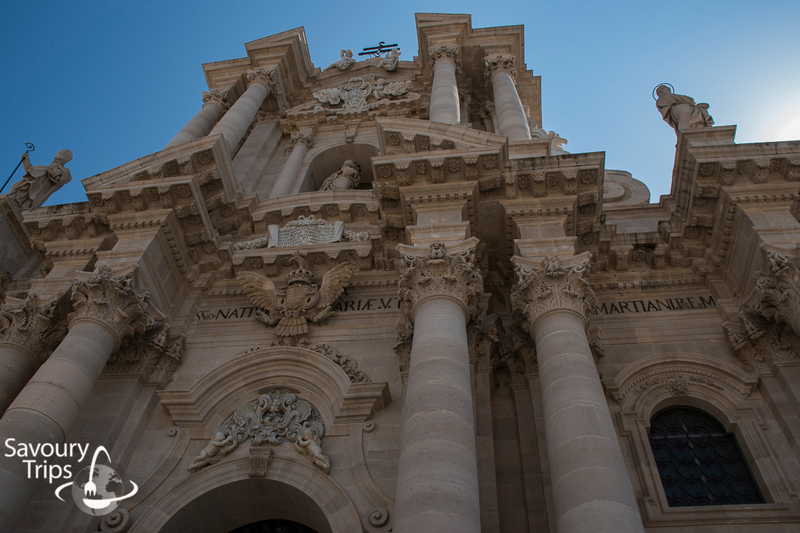 This is one of the most beautiful towns in Sicily, known as the White pearl of Ionian sea. 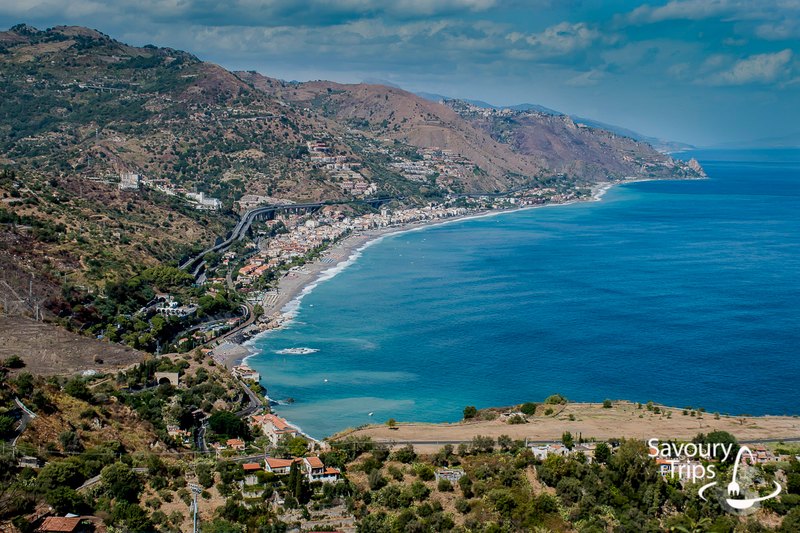 It is located south of Giardini Naxos, 1,5 hours away by bus, but by car it takes you less for sure. For this adventure, I needed half a day. 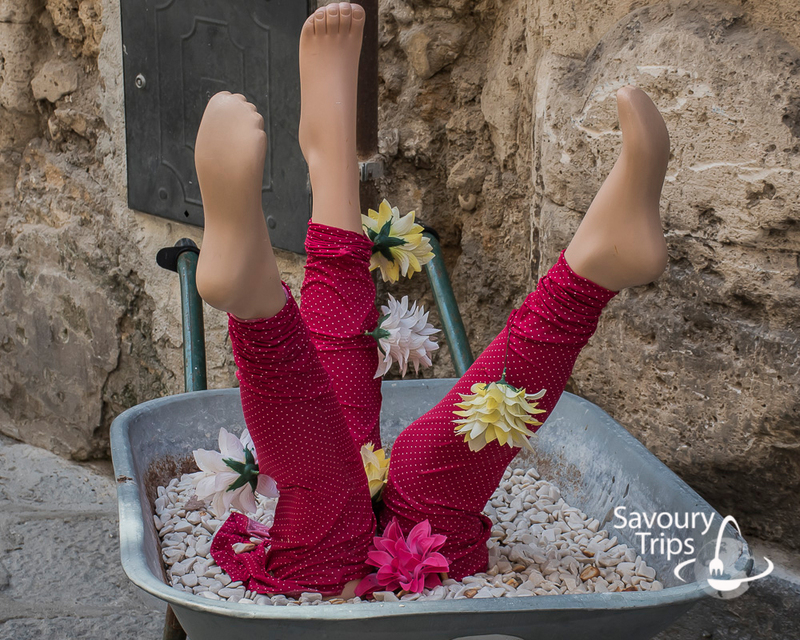 A trip organized by an agency costs 45 euros. I combined the Syracuse trip with the above mentioned locations and filled out an entire day. 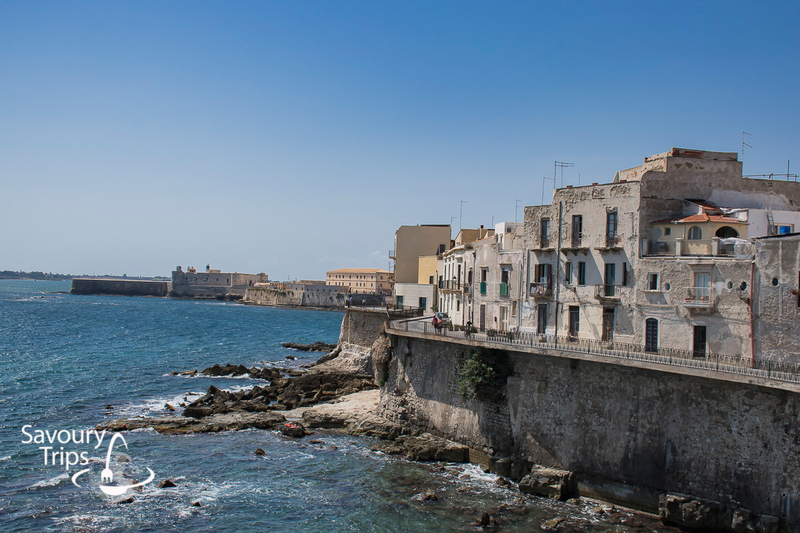 Swimming in Syracuse is not so good if you don’t like rocks, so I left it for Letojanni and Giardini Naxos, and Isola Bella which I will talk about later. 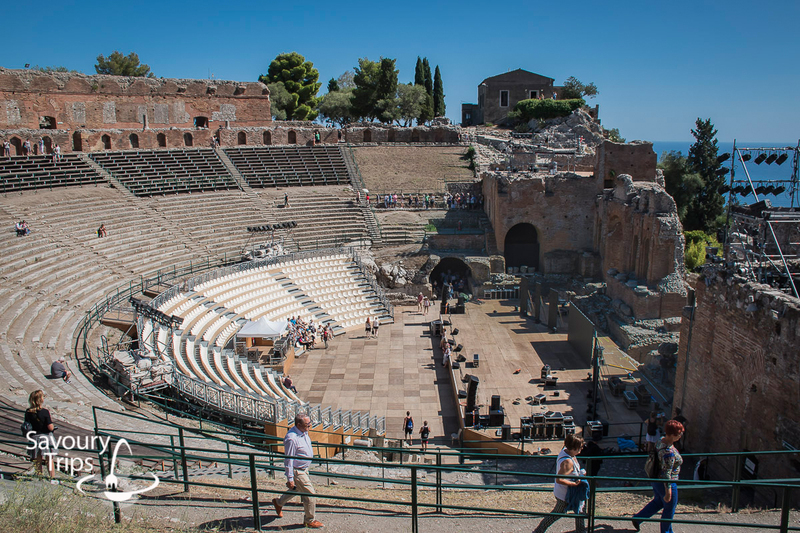 Built in Baroque style, on the foundations of the Goddess Athens’s Greek temple (5th century B.C. 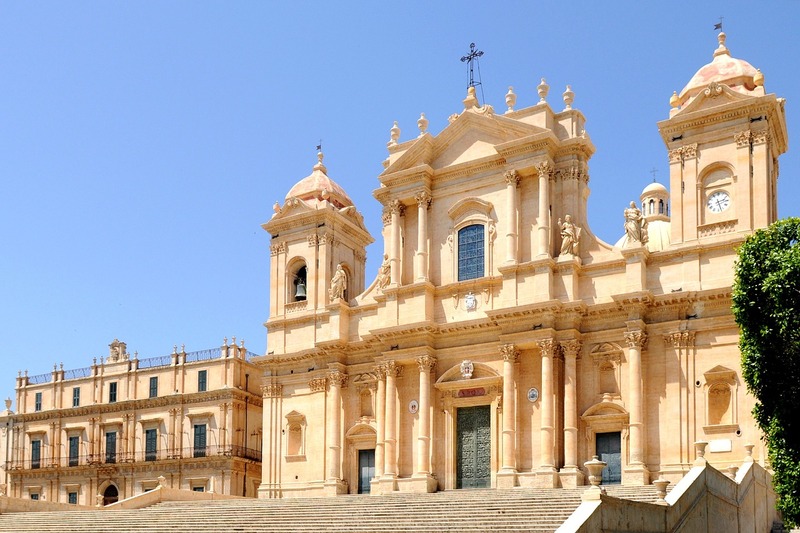 ), today this cathedral is protected by Unesco. 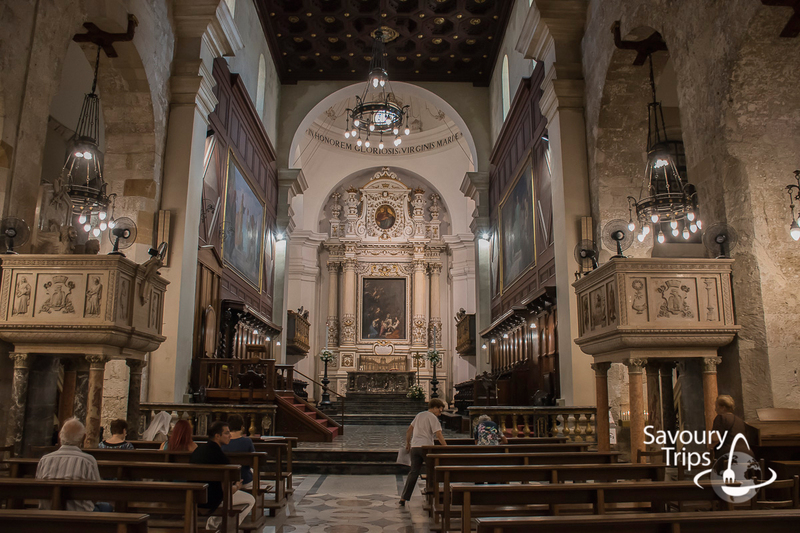 The main attraction inside the church is the silver statue of St. Lucia who is the protector of Syracuse. 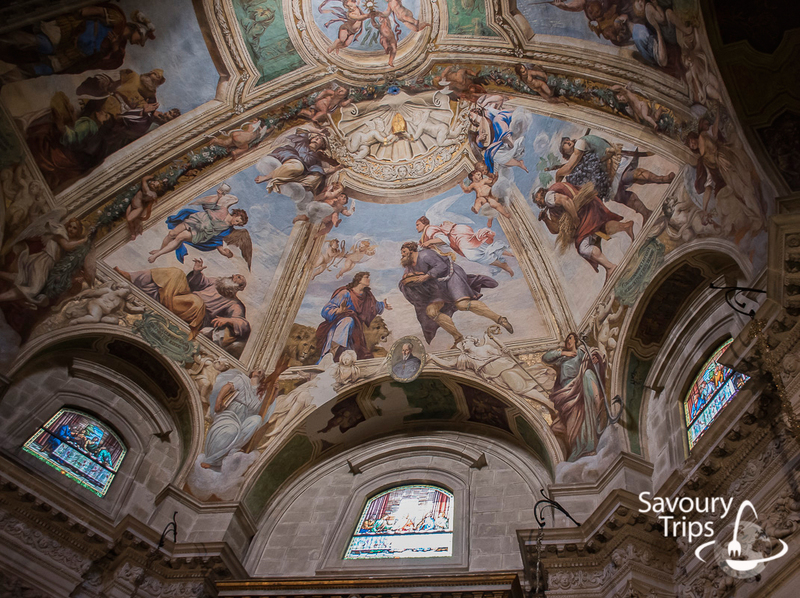 The inside of the cathedral is beautifully decorated and painted, giving you a perfect opportunity to take a break and enjoy the silence. 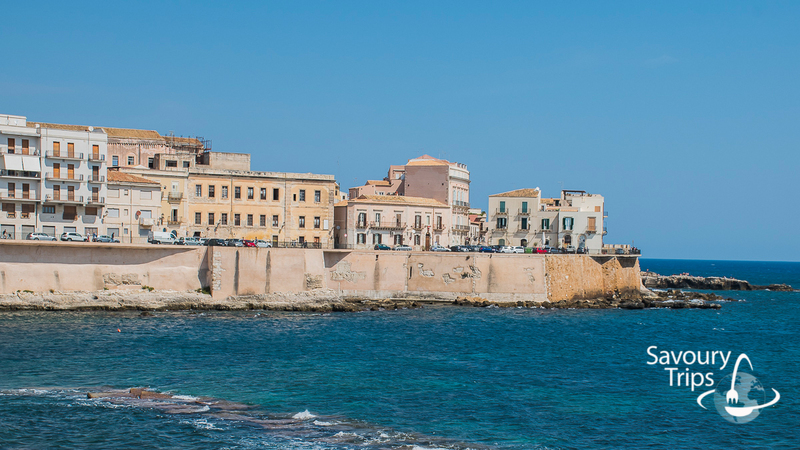 This is a real place where you can see the coast of Syracuse. 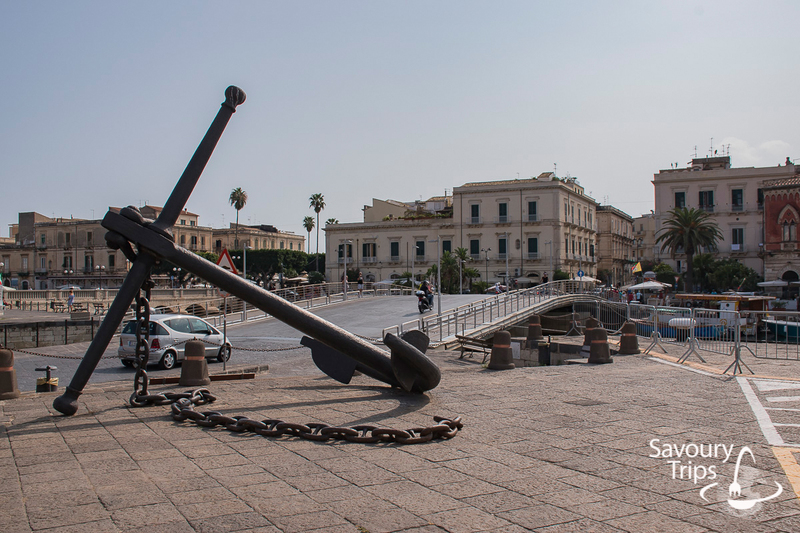 Not far from there, you can buy a 10 euro ticket and go around Syracuse from its sea side. I did not try it this time, because it was too wavy for my kind of sailing. This was another 4 hour walk that I combined with a visit to the outlet village, and I even had time left to go for a swim. 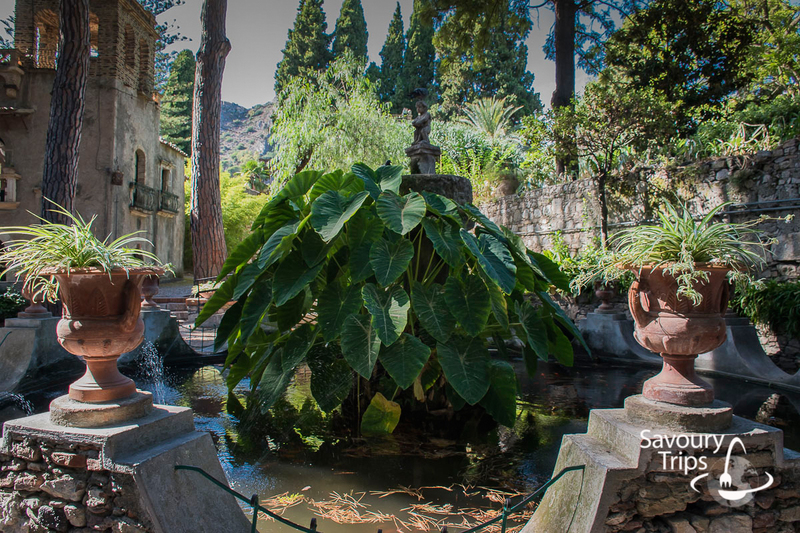 It is located close to Giardini Naxos in the south, 30 minutes away by bus. 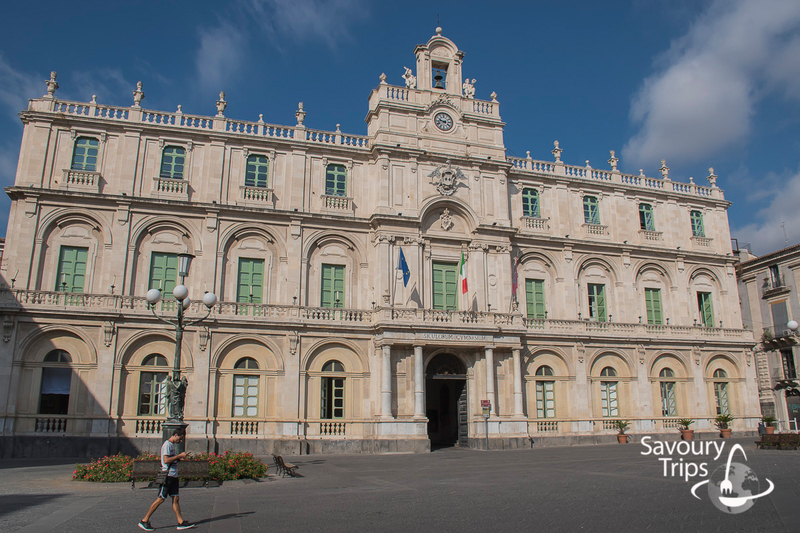 Catania is the economic centre of the island which you will notice as soon as you get there. 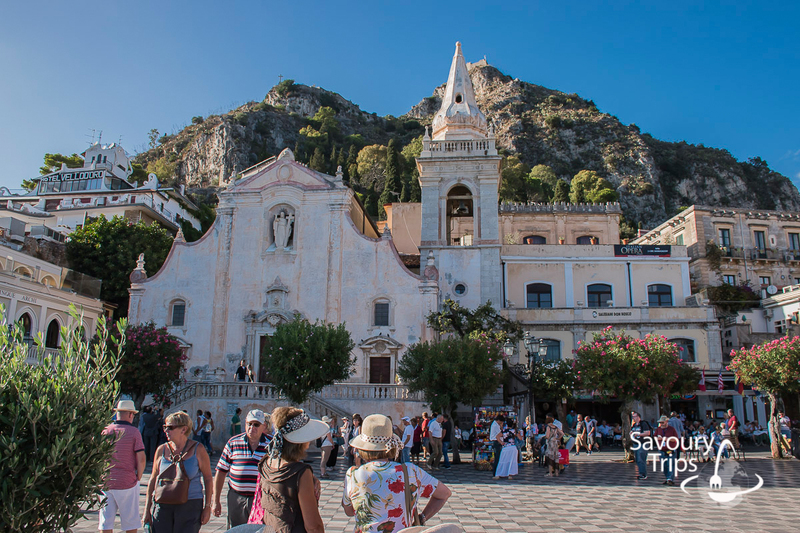 The trip with an agency costs around 25 euros. 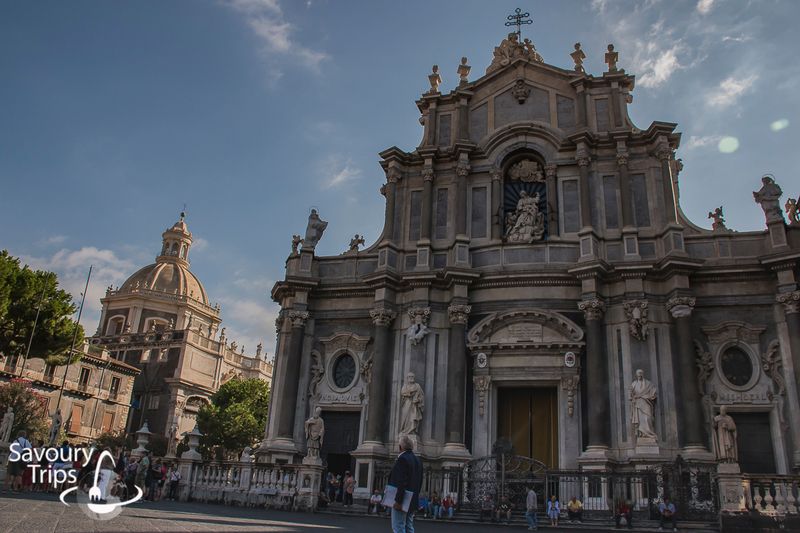 At the very entrance to the city, the beautiful Catania’s cathedral appeared before my eyes. 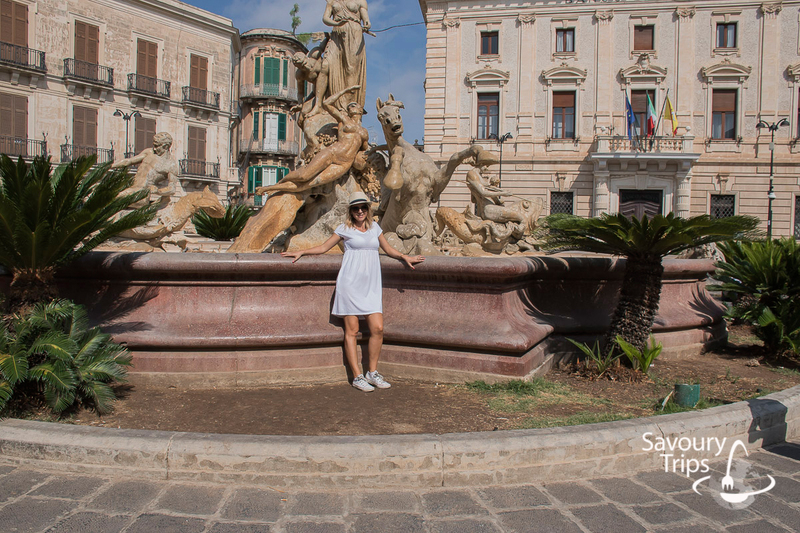 As I continued towards the old town, I arrived to the Elephant’s fountain. 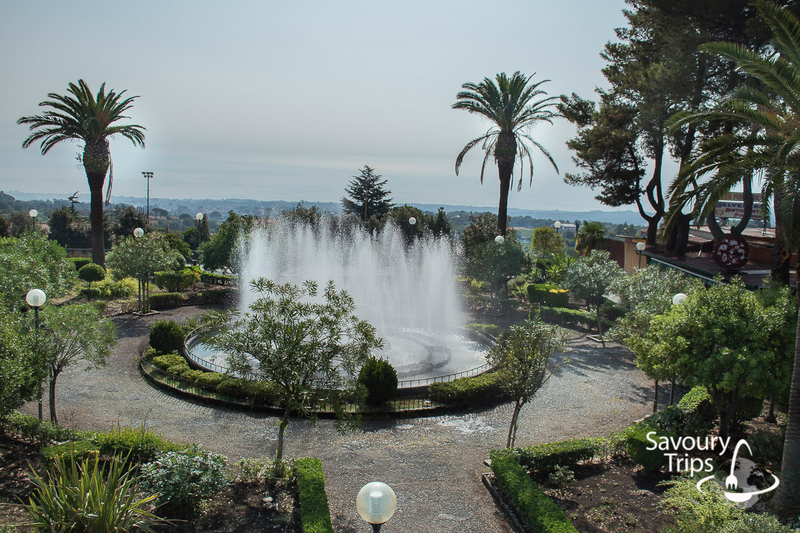 An escape from the sun and a little rest, me and my mom found at the Bellini garden. 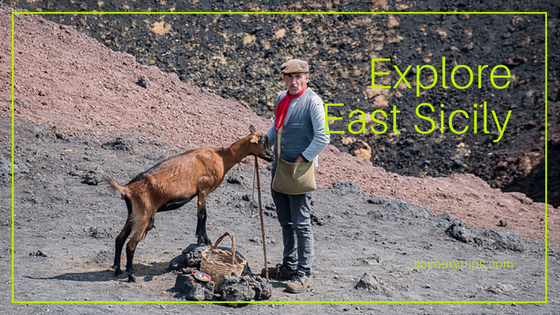 When I finished walking along the entire eastern Sicilian coast, I went for some hiking, so I’ll share this experience with you as well. 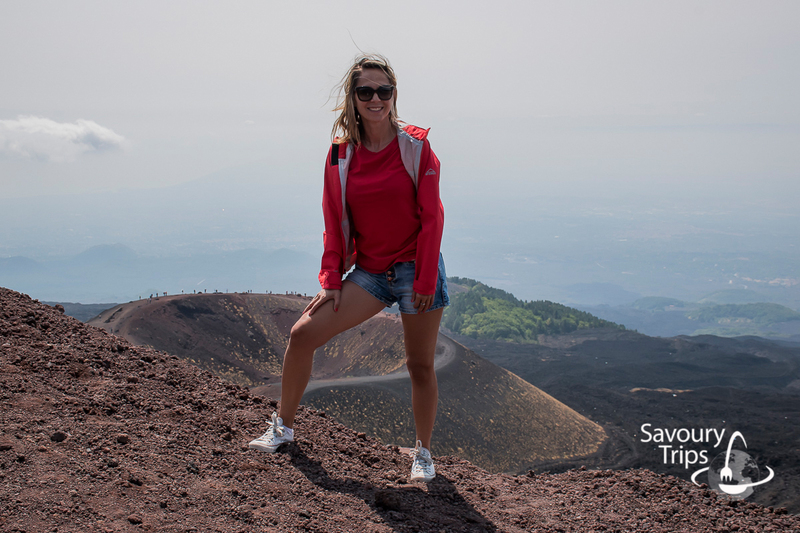 How can I come to Sicily and not bring home with me at least a small bag of the dust from Etna 🙂 This was an excursion that lasted for half a day so I could combine it with some more swimming or a shorter stroll. 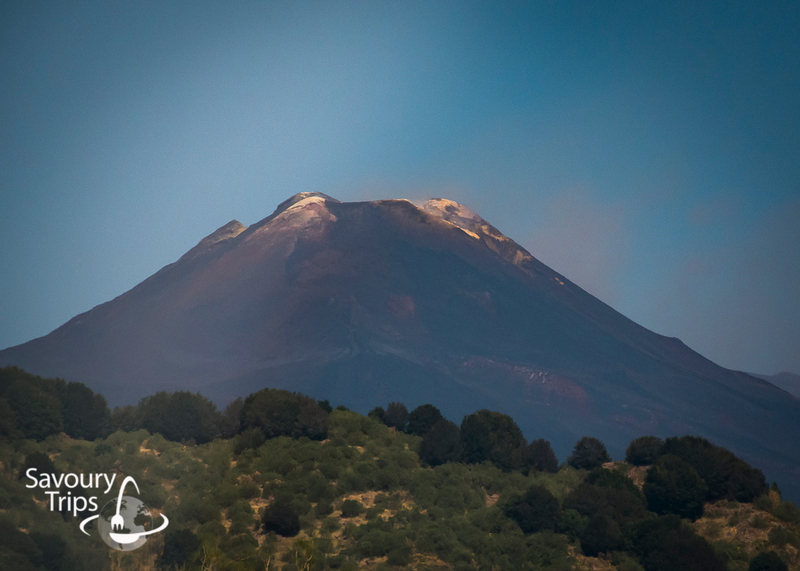 Etna rises between Catania and Giardini Naxos, but closer to Catania. 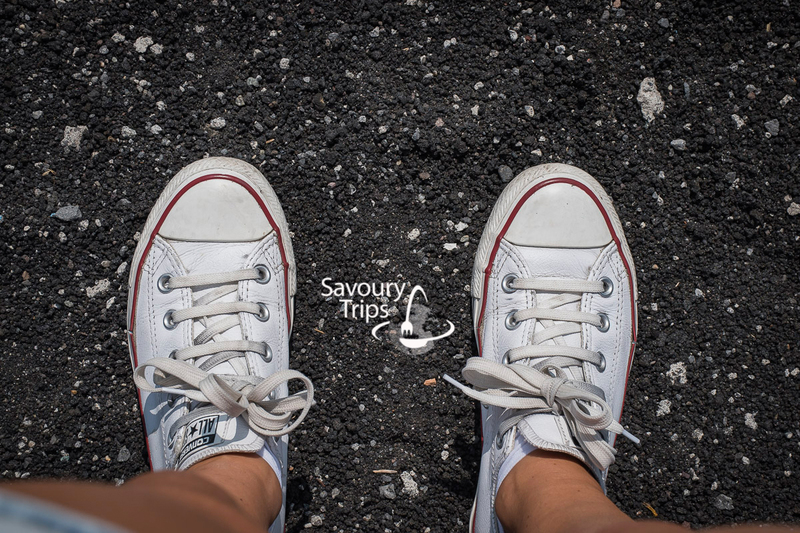 For this half-day trip you need to have comfortable sneakers and 30 euros to walk on the first level where the smaller inactive craters are located. 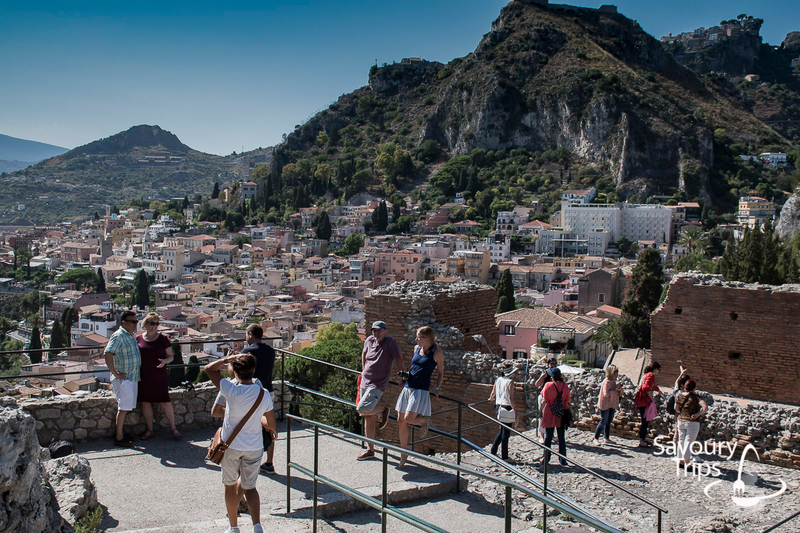 For the main crater, you will have to pay 63 euros more. 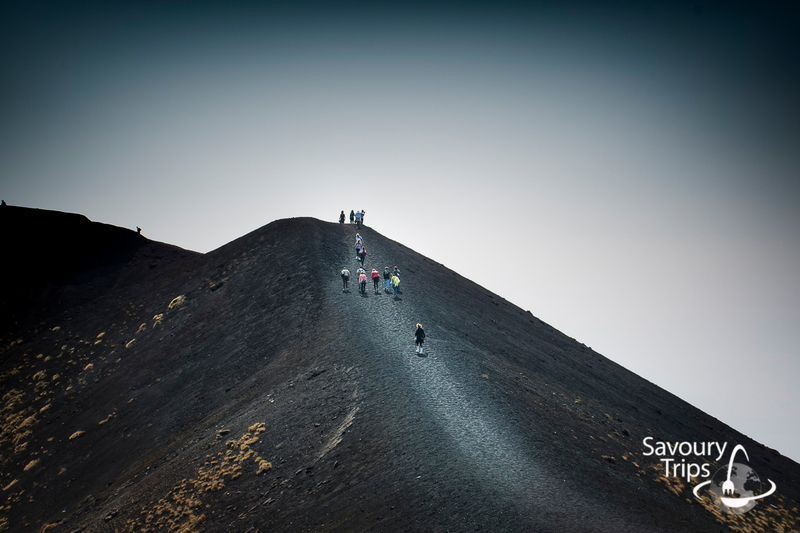 Travelling to the volcano, I passed through many villages in its foothill. One of the villages worth mentioning is Zafferana village. 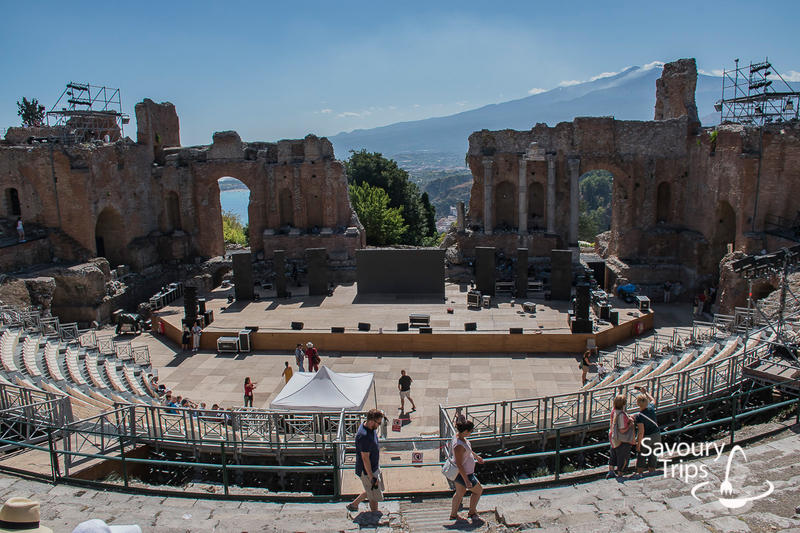 This is where we stopped for a bit to walk through the streets and make some photos from the foothill of Etna. 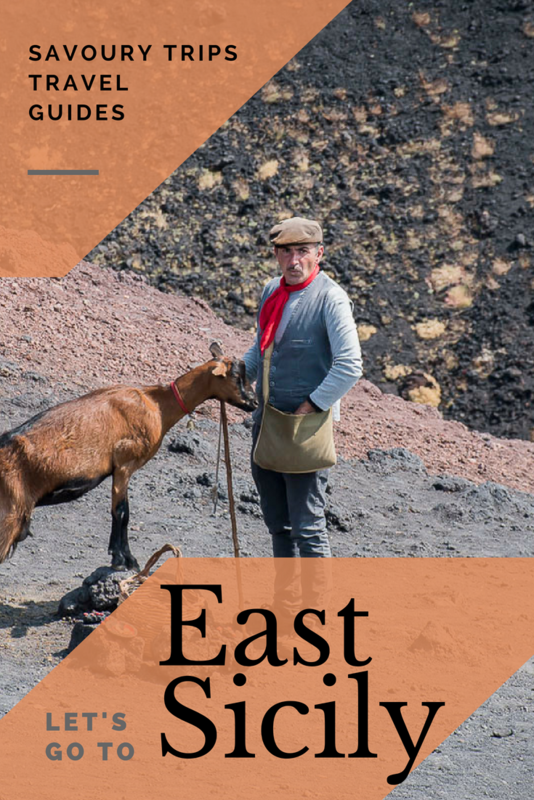 There is very fertile land under Etna which is the reason these villages came to be. They produce wine, lemon, almonds, hazelnut, oranges, and tangerines. 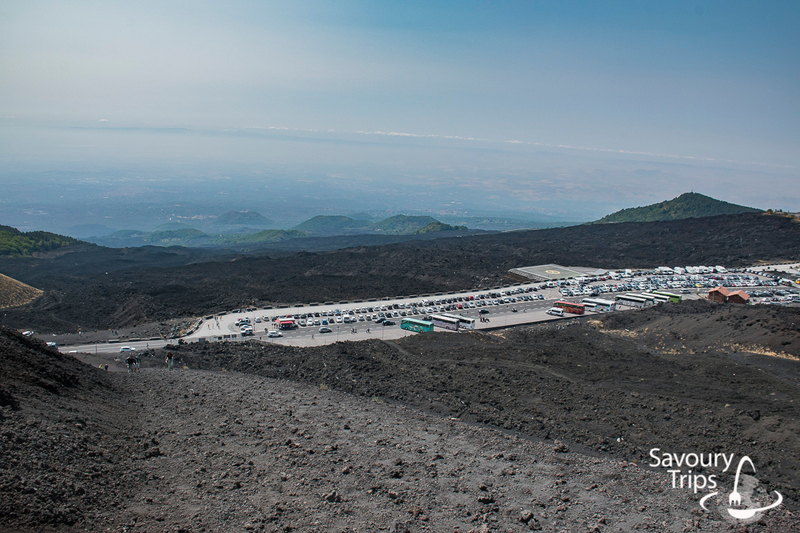 I was able to try all these unusual products characteristic for this area on the very Etna. 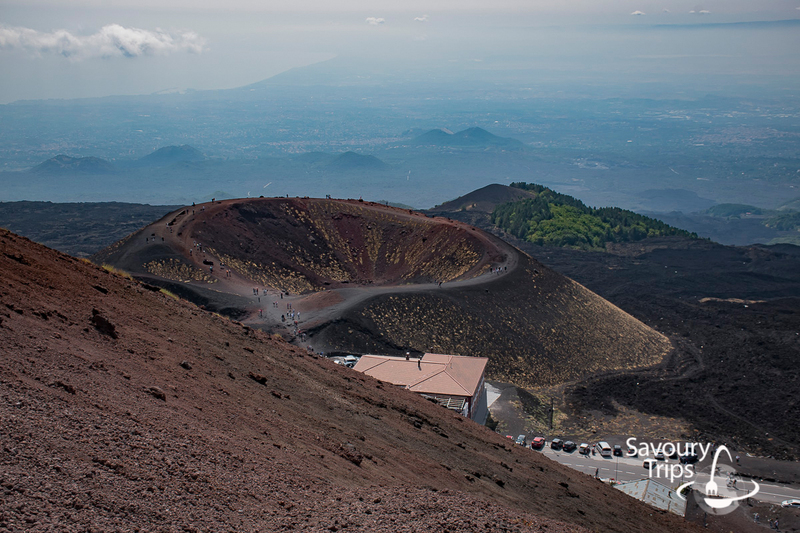 When I came to Etna I decided to stick to the small craters…it was scorching hot, so I decided to play it safe. You could see most of the things on the basic level anyway, and try or buy some product. There was a whole lot of climbing and clambering. On this side of the world if you have 10+ days of summer vacation..must see are also these tree barouque style town. They are also on the UNESCO list. 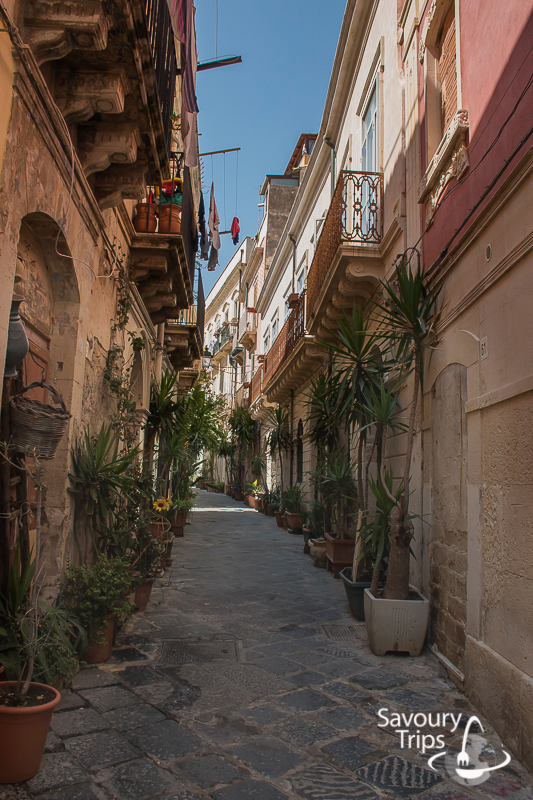 Noto has a very beautiful streets and one of the best is Vittorio Emmanuele.